There are several way to make display to fullscreen. this method’s point is placing requestWindowFeature between onCreate and setContentView. add theme property application or activity xml tag in AndroidManifest.xml. 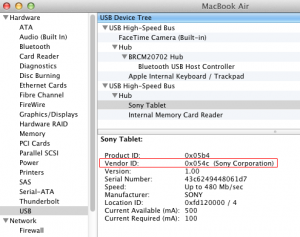 [Android] How to make Sony Tablet S been able to develop on mac. 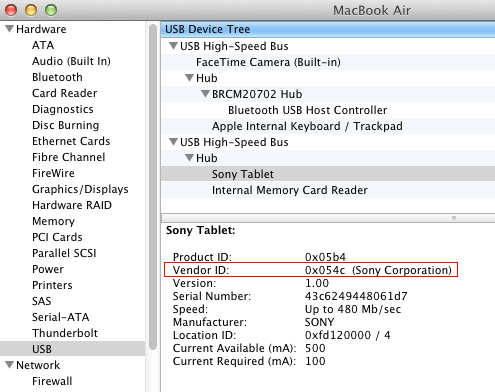 I can’t connect to Sony Tablet S from my mac. I searched, and found how to solve. This page gives me very useful information. I found the file named adb_usb.ini in below location. Then, I opened the file with text editor. Then adb could recognize my tablet. You can confirm usb vender id from this. 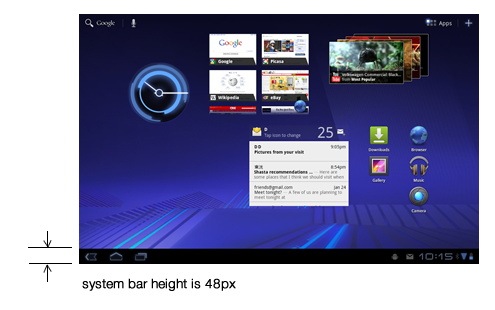 Posted in Android | Comments Off on [Android] How to make Sony Tablet S been able to develop on mac. I got an error on debugging. When I debugging, I can’t install my app. The article on this link is the same error. And I could see how to fix it. First, change the time of time out longer. I changed default 5000 to 10000. On the terminal app, I typed this code.